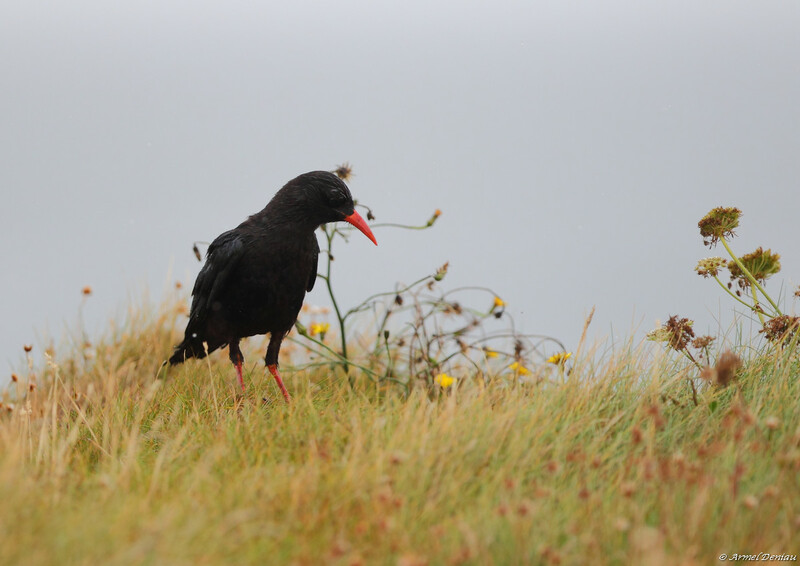 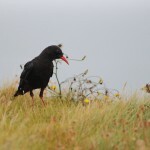 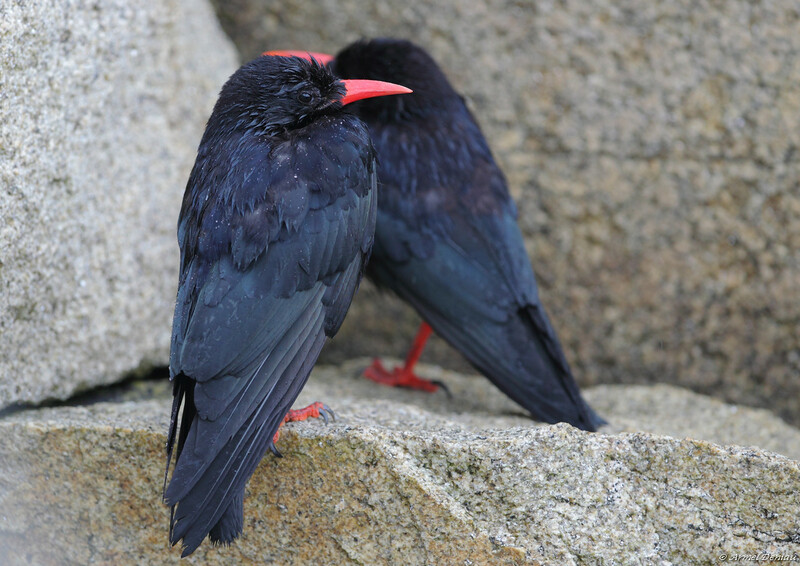 Regis reports that in August and September this year there have been 2-3 red-billed choughs visiting the vicinity of the Station and Brittany’s Sept Îles Reserve. 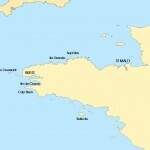 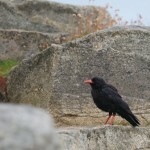 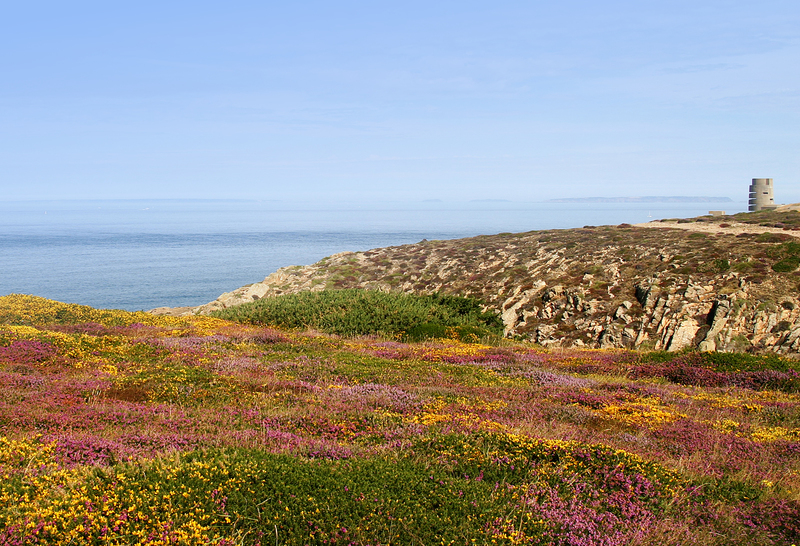 With 50+ pairs of choughs breeding in Brittany, the species’ nearest stronghold is Ile Ouessant (Ushant), the island at the western end of the Brest Peninsula. 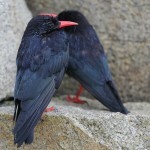 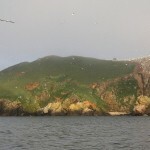 • 2-3 birds seen regularly between the 20th August and the 17th of September 2012. 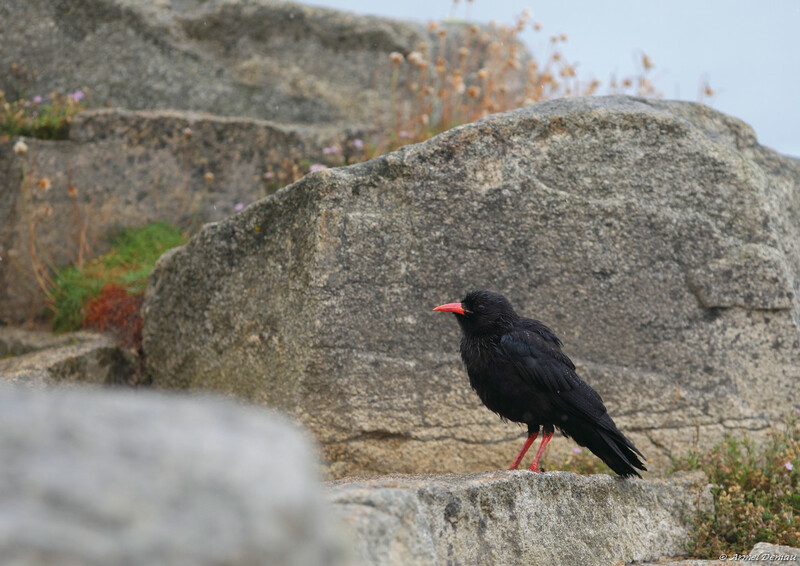 Interestingly there have been sightings of choughs even further north including birds at Cap Fréhel, Calais and even a juvenile at the Antifer nature reserve (Seine Maritime). 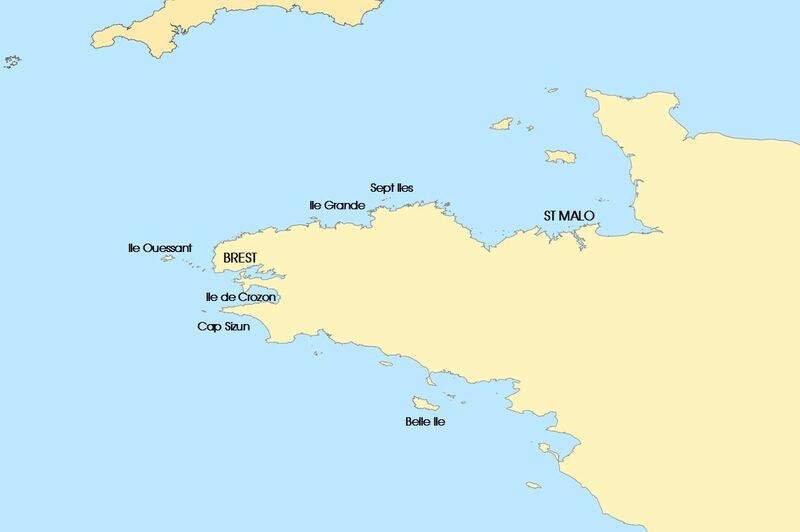 These records from l’Île Grande and the Sept Îles Reserve on Bittany’s north coast well show how much these birds may roam along the coast to the south of Jersey.